The Blue Lagoon is one of the most visited attractions in Iceland. 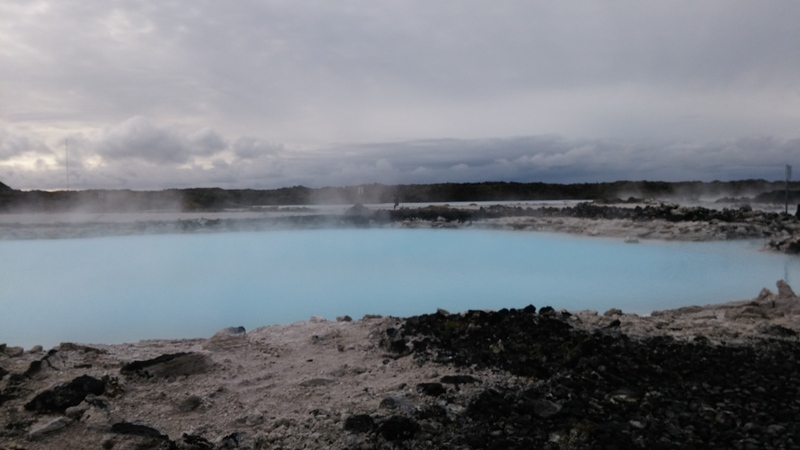 It is a geothermal spa located in a lava field close to Grindavik in the Reykjanes peninsular. The National Geographic magazine once listed it as one of the 25 wonders of the world. Bathing there is truly a unique experience. 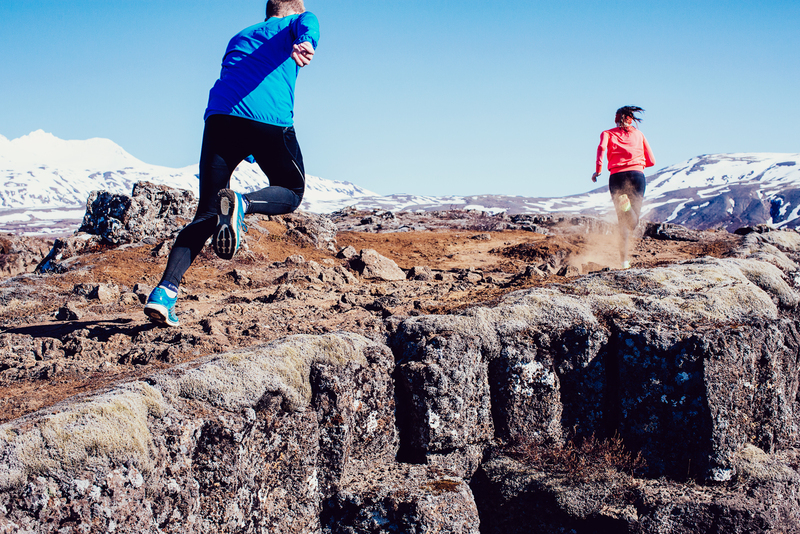 It is an even a greater experience after a refreshing run, and all runners who visit the Blue Lagoon should consider starting off their day by running a fantastic route that showcases the dramatic rugged landscape of Reykjanes, a geological wonder in its own right. The route is uncomplicated and very easy to follow. 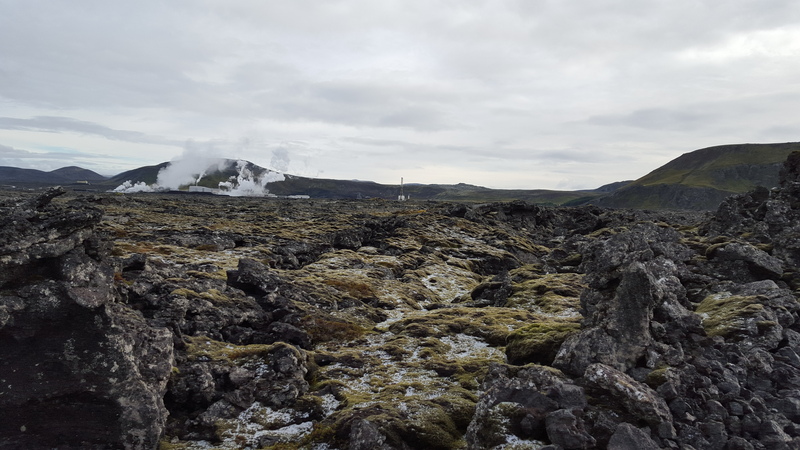 It takes you through lava fields with geothermal water, mountains in the distance and smoke rising out of the earth. 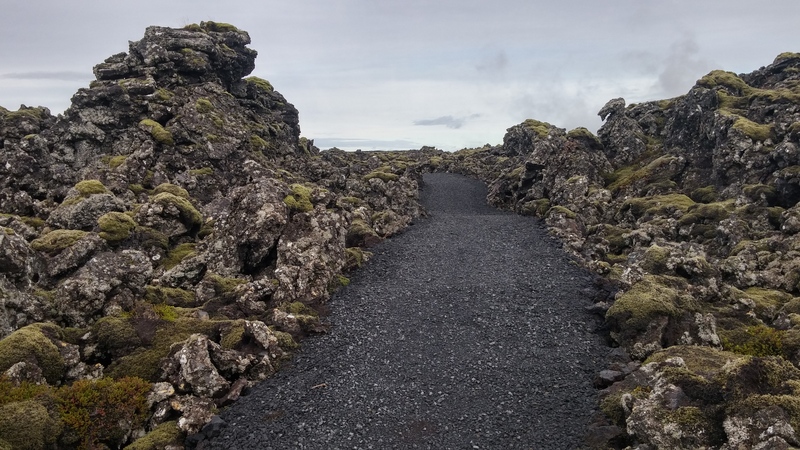 The harsh desolate beauty is unlike anything you will see on the Icelandic ring road. The route takes you around Thorbjorn Fell which is a free standing mountain next to the Blue Lagoon. The route is mainly on asphalt road but partly on trail paths. Here is a map of a scenic 10 km long circle that starts and ends at Blue Lagoon. Start from the car park entrance at the Blue Lagoon. 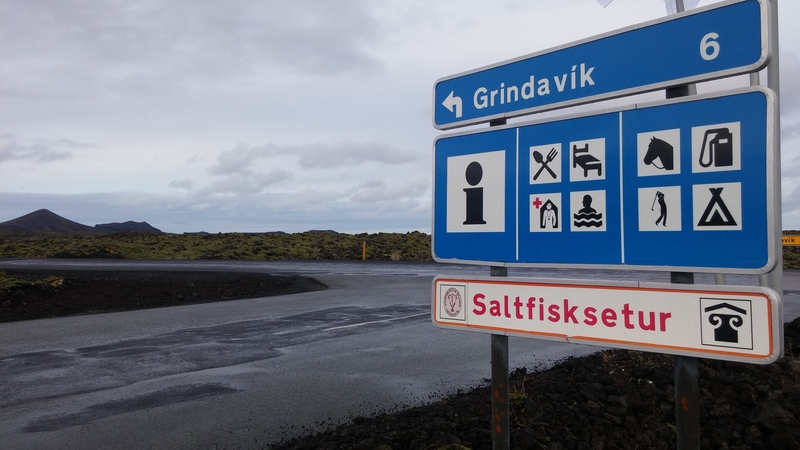 Turn left and follow the road for approximately 4 km to Grindavik. There is very little traffic on this road but be alert and visible if running in the dark. You should have Mt Thorbjorn on your left hand side the whole way. 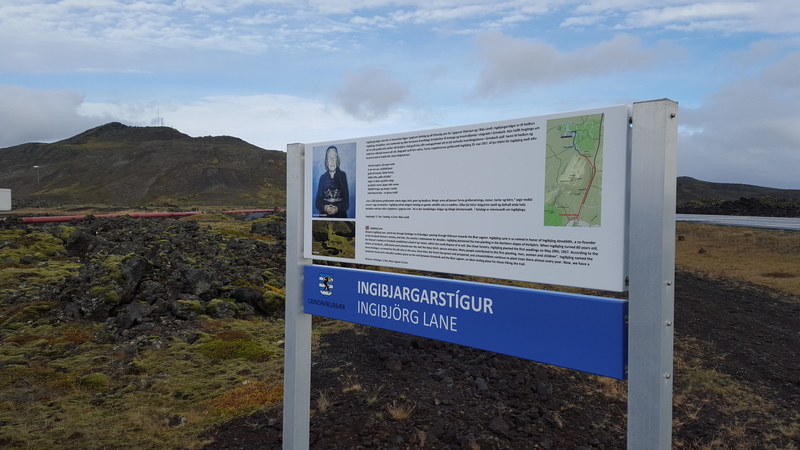 As you reach Grindavik you turn left and run approximately 300 meters until you turn left again on to a path which is called Ingibjorg Lane (Ingibjargarstígur). 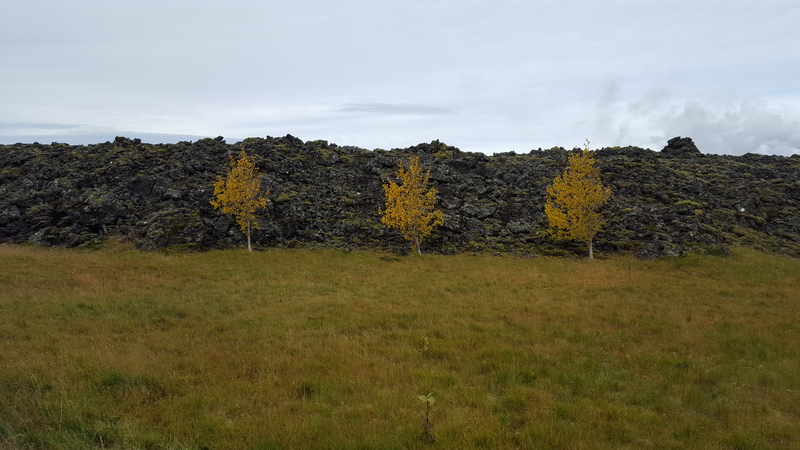 The lane takes you through green grass and small woodland next to Mt Thorbjorn, and then through the lava to the end of the route, right at the entrance of the Blue Lagoon. The route can easily be shortened by turning left closer to Mt Thorbjorn instead of running all the way to Grindavik. The route can be extended by adding a circle in the town of Grindavik. There is also a trail up Mt Thorbjorn which is 243 meters high. 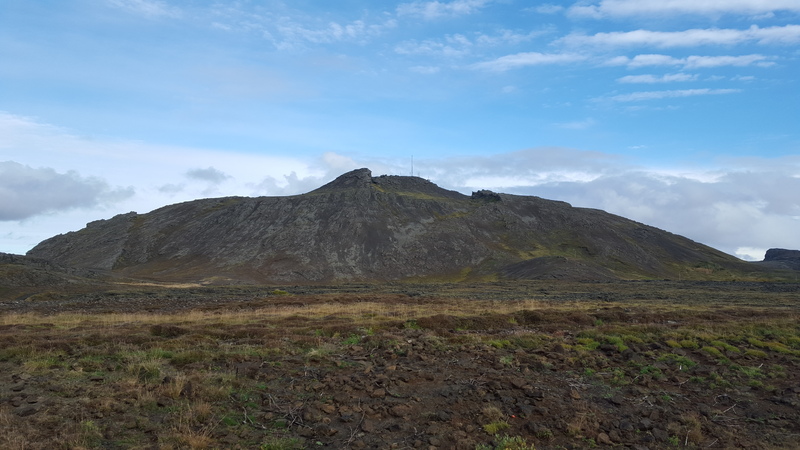 The mountain offers a great panoramic view over Reykjanes peninsula on sunny days. More photos taken on the route are here below. Is this possible in the Winter? Good question! I haven’t been there myself in the wintertime. It’s the last km or so I am not sure about, the first 8-9km are on roads or well travelled paths. If there is a lot of snow the path might be hard to find, but otherwise it should be no problem.